The 170-passenger Star Flyer will offer 13 departures out of St. Maarten between December 2019 and March 2020. “Tourism plays a crucial role in the Caribbean’s economy, and we’re encourage by the reports that St. Maarten, as well as so many of the islands affected by last year’s hurricane season, are well on the road to recovery,” says Star Clippers America President Mirell Reyes. Star Flyer’s itineraries offer seven, 11 and 14 night durations out of St. Maarten. For clients looking to sail the Caribbean sooner, Star Clippers’ upcoming season runs from December 2018 through March 2019 with 37 departures ranging from seven to 14 nights. Two ships, Royal Clipper and Star Flyer, call on multiple islands that were affected in last year’s storms, including St. Maarten, Dominica, St. Kitts, Guadeloupe, St. Barts, BVI and Anguilla. Promotions include free two-night hotel stays plus breakfast and transfers in either Barbados or St. Maarten on select 2018 and 2019 departures. Guests booking select 11-night Montego Bay to Barbados and seven-night Windward and Grenadine Islands itineraries will receive two complimentary nights at the Accra Beach Hotel & Spa, a full service resort in Christchurch, Barbados. Guests booking select 14-night Panama and seven-night Treasure and Leeward Island sailings will receive a two-night stay at the charming Holland House beach hotel in downtown Philipsburg, St. Maarten. Solo travelers can take advantage of waived single supplements on select Caribbean sailings on the Star Flyer or the 227-passenger Royal Clipper between December 2018 and March 2019, with rates starting at US$600 per person for a three-night sailing. 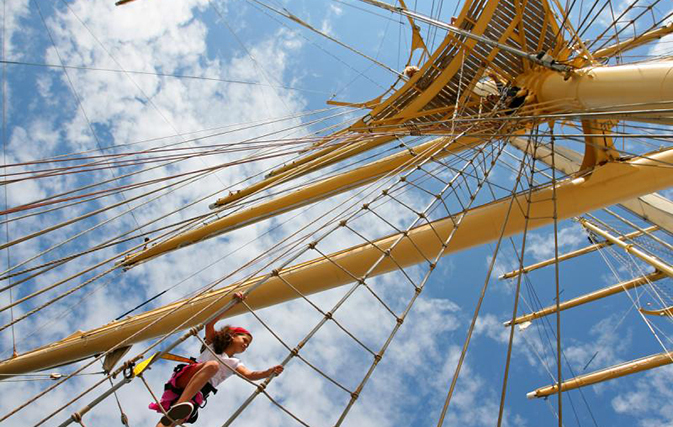 All three of the tall ships – Star Clipper, Star Flyer and Royal Clipper have expansive teak decks, swimming pools, informal dining, convivial tropical bars on deck and piano lounges. The brand’s newest vessel, Flying Clipper, is scheduled to debut in late 2018.